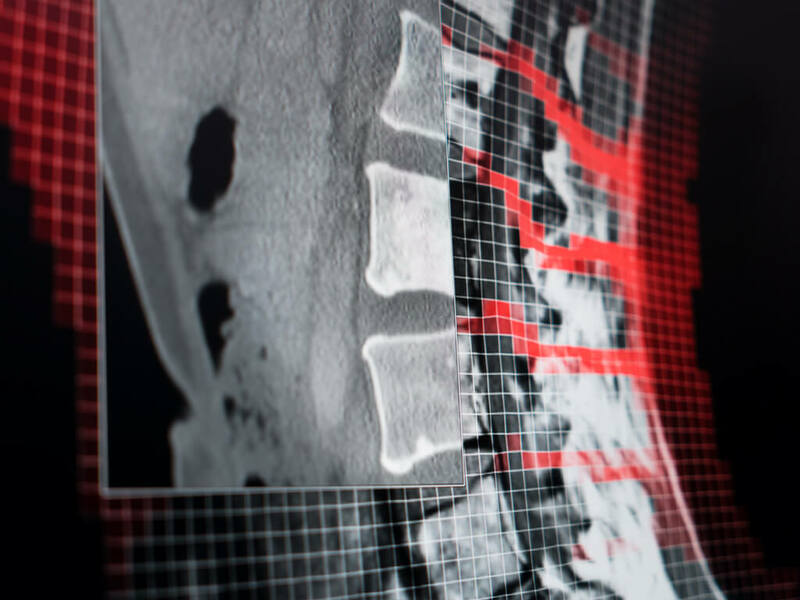 Automatic segmentation of spinal anatomy fundamentally streamlines extracranial treatment planning and serves standardization. 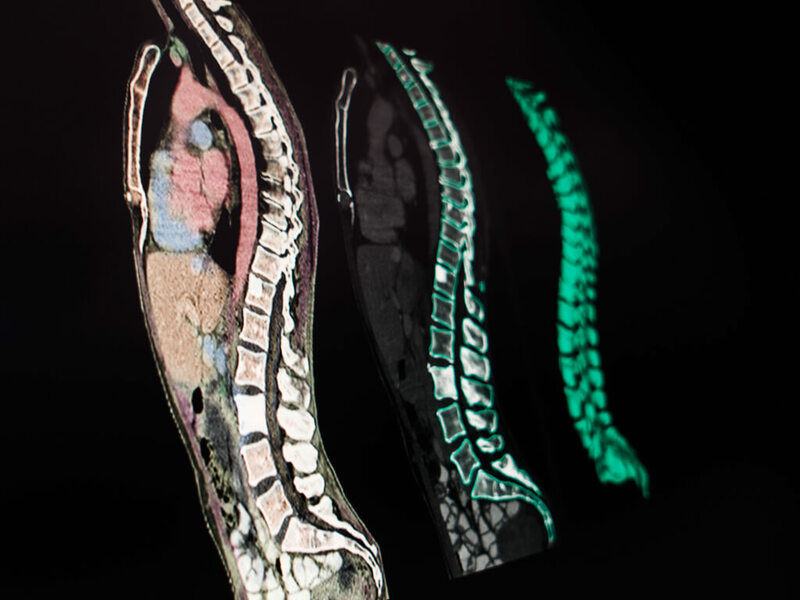 The segmentation and labeling of spinal structures enables automatic CTV calculation and preservation of critical structures. Automatic definition of organ at risk (OAR) structures like heart, kidneys, esophagus, etc. Multi-level vertebrae matching along the spine enables multi-modal contouring and CTV definition. 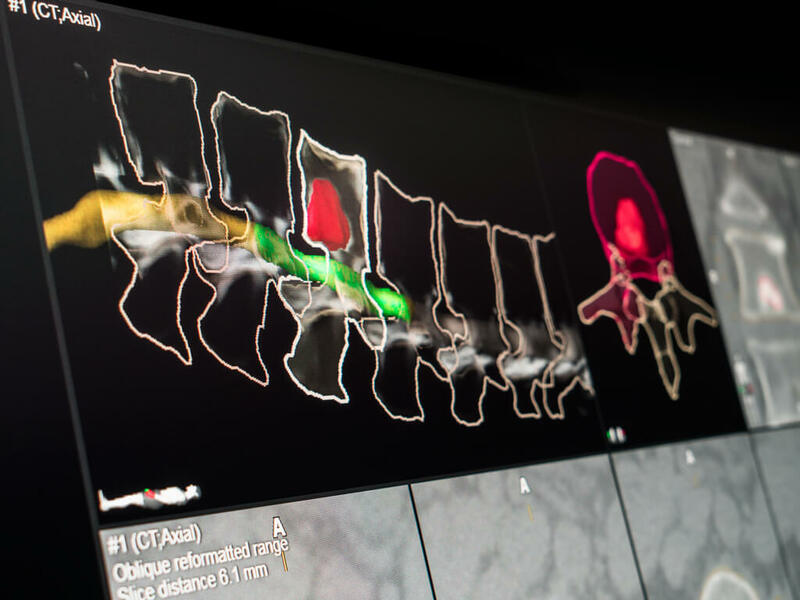 Deformable co-registration is built on anatomical mapping, which provides fundamental understanding of deformable and non-deformable tissues. Elements SmartBrush Spine software consistently and rapidly creates target volumes for the Elements Spine SRS workflow.